The gorgeous rendering of an Apple television set attached to this article? We won’t be getting one at Tuesday’s Apple Event. Moreover, according a highly reliable media source, there won’t even be a new Apple TV (set top box). But that isn’t the end of the story. Tapscape has reported a rumor of a new Apple TV and even speculative fiction that the iWatch is really a television. That said, All Things D’s Peter Kafka, a guy with a solid Apple rumor record that’s neither a fan boy nor a hater, is saying there will be new Apple TV feature, though the set top box itself won’t be upgraded. “Sources said that one new feature in the works will let people who’ve bought content from Apple play that stuff on other users’ Apple TVs, via Apple’s Airplay system and Apple’s server,” writes Kafka. Additionally, Apple has said that iTunes Radio, the company’s currently in-beta streaming radio service, will be available on the iOS-powered Apple TV. Couple that with the also in-beta iOS 7 update, which is expected on Tuesday, and it’s a sure bet that the Apple TV will be getting a major software update soon. Unmentioned by Kafka or anyone else writing about the Apple TV is the one feature Apple TV owners would love to have — access to the App Store and all of those wonderful games and apps. Remember the Apple TV runs iOS on an Apple “A” series processor, just like iPhones and iPads. 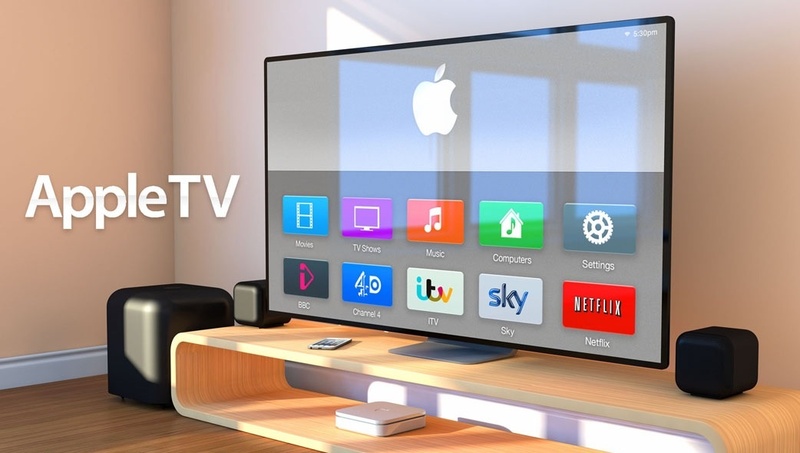 What new features are you hoping the Apple TV will deliver?